A5 - Name one other video card review in recent memory where the manufacturer was allowed to pick the single game that would be benchmarked? As far as I can recall this is unprecedented. Its unclear who picked the single game. If it was AnandTech, fine, I guess. But if it was AMD who told AnandTech the one game and specific setting(s) they were allowed to cover, the only responses with journalistic integrity would either have been to tell them "no thanks" or to run it as a paid ad and label it as such. Yes, they adequately disclosed the situation as to what happened. But why did they accept the situation as all? To most mainstream journalists, these conditions would be unacceptable and simply result in no story until it was possible to adequately prepare one. What will they agree to next? They can publish the review 48 hours early, as long as AMD gets to strike any sentences it doesn't approve of? Or 96 hours early, if they agree to include verbatim several paragraphs provided by AMD's PR department? Or a full week early, if they do the above and agree not to disclose any of the conditions? How is that at all related? They aren't striking out any part of the review and are in no way allowing AMD to "approve" what they're writing. AMD said they could release a benchmark, which they did, along with a hefty disclaimer. That's no reason for alarm at all. They aren't sacrificing the integrity of the benchmark or preview. It's just that - a preview. There will still be a full 290X review. Every company is going to want to portray their products in a positive light, and the same is true for AMD. That doesn't make it unethical. It would be unethical if they fudged the numbers, which didn't happen. It's equally possible that they wanted a limited preview so they could *provide* a preview, but simultaneously give them time to actually prepare the other games for which drivers or other factors might not be ready. AMD's unwarranted approval power was preemptive, in that they approved one (or two?) specific games potentially at specific settings, while disapproving all other games/settings. That is way over the line of an unacceptable amount of journalistic control to give up in exchange for access to materials or sources. It's very fugly when a company chooses the game and the scenario and the system that plays the game for the "limited comparison" point for a previously unbiased neutral third party. People expect Anandtech to be above the fray, unbiased, and certainly not playing favorites. Here's something obvious. nVidia has a show today, but they said virtually nothing about it today. Meanwhile, other sites don't have a problem mentioning it. They mentioned it, but only in the AMD article and only briefly with next to no description of said event. 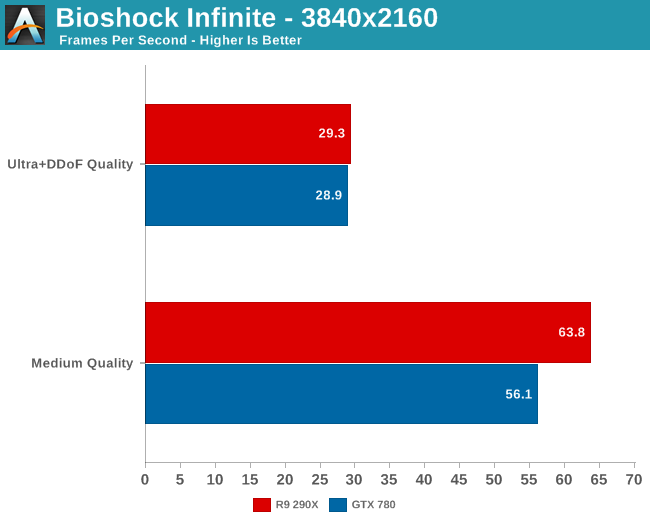 Meanwhile, they spent this entire article talking about AMD's limited comparison point made only under AMD's exacting requirements that ensured they looked great during the comparison. This reminds me of what AMD did last year with Piledriver's launch. Allowing limited "reviews" of certain, favorable parts. Imagine how loud and constant the howls of fury would be if nVidia launched a new product with "limited reviews" or "comparisons" based on nVidia-selected games and/or benchmarks. Say, nVidia is launching the new nVidia Geforce Titanic. They make a whole show at the Caribbean Islands. They have a special Green section at Anandtech that does nothing but report on news favorable to nVidia. 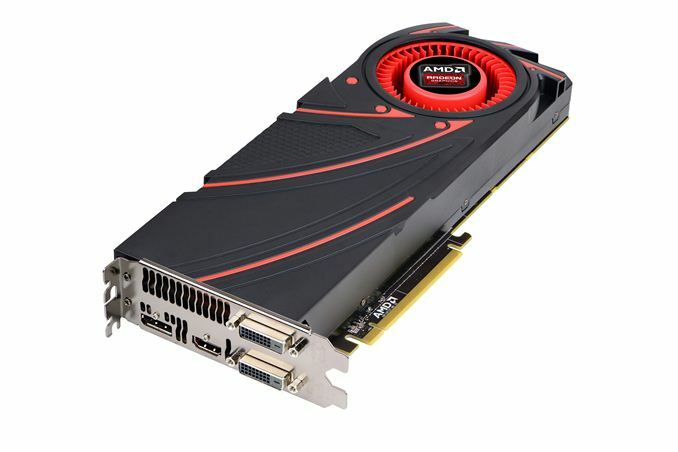 Anandtech suddenly is virtually ignoring or going completely dark on the fact that nVidia's prior cards (686 series) are having massive problems with 4K in Crossfire despite being cards "designed for 4K." So every article in this "Green Section" is incredibly positive. Then the new Titanic is coming. Journalists all in the Caribbean are drinking pina coladas and are fed new proprietary technologies like nVidia PureAudio DSP's limited only to nVidia cards and only a select group of the new cards. Plus, nVidia Glide 2.0, an initiative to lock in developers to only CUDA-based video cards built in the last year. Imagine then that said "Green Section" clinked glasses and danced in a loop, making a much-read, much-spread article about how the new Glide 2.0 is in fact a low level API from one of the next generation consoles that is about to hit without a shred of proof or much more than a hope and a dream. Now imagine nVidia implies to all those reviewers that they'll open up more information about said upcoming Titanic in... a week, maybe two. Then three weeks pass and no one says anything. Waiting longer, they re-fresh and re-release the same products they previously released almost two years ago but with completely new names and similar pricing to what they'd already dropped to. Yet no one says anything but "Wow, the value is great" despite the bundle having been axed. Now imagine they offer said "Green Section" a new benchmark for a very specific game guaranteed to give them a "win." Everyone is hungry for benchmarks, for the final answer to whether the card is better, and you have a seemingly unbiased review site popping up with an "early benchmark" that shows the new card in that "Green Section" winning at 4K. Man, it looks like the "Green Section" has the goods and the Green Team has the cards, right? Except if they had the goods, then why are they only showing a very limited review instead of being brave and showing everything they got right now when they very clearly can? Because showing everything would show everything, warts and all. AMD wants to show you only one specific thing, to choose the battleground, the benchmark, and win out completely in that one place. They're aiming to mislead because if they weren't, they wouldn't need to choose the game, choose the benchmark, and stack the deck. That's just another part of how far Anandtech has gone away from ethical. That's what's not ethical. How can anyone NOT question their "unbiased" status now? ...then I have question if I wouldn't have you in my back pocket, right?